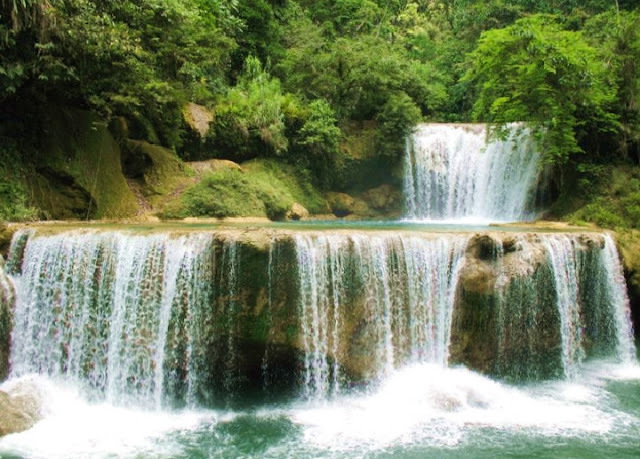 Pinipisakan falls is one of the most beautiful waterfalls in the Philippines, it’s a four layered of waterfalls that serves as most convenient way to enter the Sulpan Cave. The Sulpan Cave has five-kilometer long underground cave chambers with huge stalactites and stalagmites. The cave has an underground river that serves as tributary for the Blanca River. Sulpan Cave and the Pinipisakan waterfalls can be better accessed through the municipality of San Jorge, Samar. However, getting there is not easy so local guide who is familiar with the place is needed.